Teach basic techniques in news gathering and writing, with an emphasis on accuracy, concise presentation, meeting deadlines, basic news values and using new technologies to report the news. Assisted with all aspects of classroom operations. Wrote and graded exams. Advised students on exam preparation, term papers and other assignments. Liebler, C.M. & Moritz, B (2013). Cleaning up after Te'o: Writers, routines and repair. International Journal of Sport Communication 6 (4). Golan, G.J., Arif, R. & Moritz, B (2014). Journalism News Routines in Times of War:Comparing the United States Government and the Taliban. Media, War & Conflict. Moritz, B. (2014). The gatekeeping practices of the Best American Sportswriting series. Accepted for presentation at the 2014 International Association for Sport Communication Summit, New York. Munno, G., Chung, M. & Moritz. B. (2014).Triggering Participation: Hostile Mediaand Third Person Effects on Online Participation.. Presentation at the 2014 International Communication Association conference, Seattle, Wash.
Arif, R., Golan, G. & Moritz, B. (2013). Mediated public diplomacy in times of war. Presented at the Association for Education in Journalism and Mass Communication conference, Washington, D.C.
Moritz, B. & Munno, G. (2013). Testing the effects of framing on reader comments. Presented at the 2013 International Communication Association conference,London. Moritz, B. (2013). Leading off: The prominence of sports stories in U.S. news sources. Presented at the Sixth Summit of Communication and Sport, Austin, Texas. Moritz, B. (2012). PTI and The Sport Ethic. Presented at the 2012 Northeast PopularCulture Association Conference, Rochester, N.Y.
Moritz, B. (2012). The social newsroom: Social media and the evolution of journalists’ routines. Presented at the 2012 Association for Education in Journalism and MassCommunication conference, Chicago, Ill.
Moritz, B. (2012).Without access, favor or discretion: The gatekeeping practices of Deadspin. Presented at the Fifth Summit of Communication and Sport, Peoria, Ill.
Moritz, B. (2011). Kicking off the hype: Newspaper coverage of Super Bowl I. Presented at the 2011 Association for Education in Journalism and Mass Communication conference, St. Louis, MO. Moritz, B. (2011). The first draft of journalism: How blogging has affected sports reporters’ roles and routines. Presented at the 2011 Association for Education in Journalism and Mass Communication Southeast Colloquium, Columbia, S.C.
Woolery, E. & Moritz, B. (2010). It'll cost you: The credibility of news sources. Presented at the annual mid-winter conference of the Association for Education inJournalism and Mass Communication, Norman, OK.
Blog dealing with sports media issues, The Sport Ethic in the sports media and analyzing sports media from an academic perspective. Blog has been cited by the Poynter Institute, the Nieman Journalism Lab, Fox Sports,Deadspin and The Big Lead. Full site at sportsmediaguy.com. The first draft of journalism: How blogging has affected sports reporters' roles and routines. The Convergence Newsletter From The Newsplex at the University of South Carolina. Vol. VIII No. 7 (October 2011). A new paradigm for studying news in a collaborative media environment. Invited speaker, The Sport Ethic and the Mainstream Sports Media at the 5th Annual Sportsmanship Day Symposium, SUNY Oswego, March 7, 2013. Invited panelist, Sports Media & History: Making the Old New and the New Old at the2012 American Journalism Historians Association Conference, Raleigh, N.C. Assisted Peter A. Horvitz Endowed Chair of Journalism Innovation. Duties includedwriting articles and multimedia stories about journalism innovation, coordinating on-campus programs and contests, and running the chair's social media platforms. Wroteregular blog posts for PBS Idea Lab. Assisted John Ben Snow professor with compiling bibliographies for manuscript of Mediating the Message in the 21st Century and other research projects. Assisted two Newhouse professors with a pair of research projects, including an FCC report on foundation-funded journalism. Worked with Newhouse Associate Dean in his duties as ombudsman for the Corporation for Public Broadcasting. Duties included investigating viewer andlistener complaints and contacting officials at PBS and NPR to research futurecolumns. Worked with Newhouse Endowed Chair of Public Communications on research ofmedia law issues for updated edition of The First Amendment and the Fourth Estate. Assisted associate professor by compiling relevant literature from legal, scholarly,trade and popular press, and with collection and analysis of data primary andsecondary sources for magazine stories and the manuscript for God's Nobodies. Assisted associate professor with research of news coverage of missing children by compiling literature reviews, evaluating potential data sources, and conducting data collection and analysis, manuscript review and editing. 2013-14: Grad student liaison, Association for Education in Journalism and Mass Communication Sports Interest Group (elected board member). 2013: Volunteer copy editor, Democracy In Action, Syracuse University. 2013: Invited reviewer, International Journal of Sport Communication special edition on 21st Century Sport Communication Professionals. 2013: Member of the Newhouse Sports Media Center.2013: Volunteer judge, University of Southern Mississippi student journalism showcase. 2012: Promotions committee member, S.I. Newhouse School of Public Communications, Syracuse University. 2012: Newhouse Doctoral Student Organization: Treasurer. 2012: Volunteer copy editor, Democracy In Action, Syracuse University. 2011: Syracuse Neighborhood Action Council, presenter: Online 101. 2011: Volunteer copy editor, Democracy In Action, Syracuse University. Covered the Binghamton Mets baseball (AA) and Binghamton University athleticsfor 55,000-circulation newspaper, with emphasis on men's and women's basketball. Responsible for all game coverage and breaking-news coverage for both beats.Blogged as part of both beats, and was the paper's first Twitter user. Served as a key contributor to paper's website, including frequent updates and creation of breaking-news pages. Position also included pagination and editing duties, andgeneral assignment work. Served as St. Bonaventure men's basketball beat writer for five seasons, a position that involved coordinating coverage of all games, as well as writing feature stories and columns. Voted in the Associated Press Top-25 men's college basketball poll for four years. Duties also included covering the Atlantic 10 Conference, the BuffaloBills and Buffalo Sabres. Position included pagination and editing duties. Also served as a reporter on the paper's news staff, which entailed covering meetings, generating feature stories and writing a weekly column for the commentary page. NEPCA Conference.2011: Syracuse University Graduate Fellowship. 2011: Catherine L. Covert Award for best student research paper, S.I. Newhouse School of Public Communications, Syracuse University. 2011: Graduate School Masters Award, S.I. 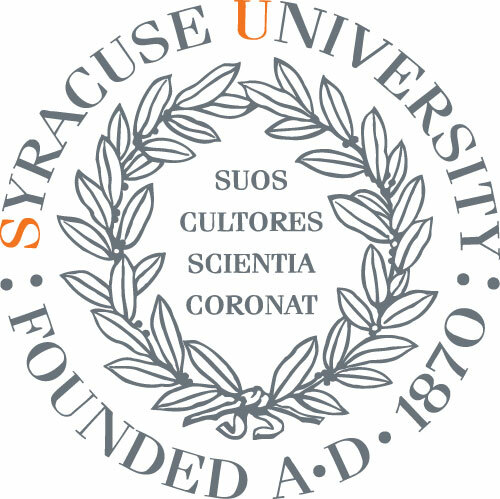 Newhouse School of Public Communications, Syracuse University. 2005: Second place, sports coverage (staff award), Gannett Well-Done third-quarterawards. 2004: Second place, sports column writing, New York State Associated Press Awards. 2004: Honorable mention, sports writing, New York State Associated Press Awards. 2003: Honorable mention, breaking news, Associated Press Sports Editors national award. 2002: Second place, sports column writing, New York State Associated Press Awards. 1999: General Excellence Award in the Journalism and Mass Communication Curriculum, Honorable Mention. 1999: Certificate of Merit, Russell J. Jandoli School of Journalism and MassCommunication, St. Bonaventure University. 1998: Disc Jockey of the Semester, WSBU-FM, St. Bonaventure University.